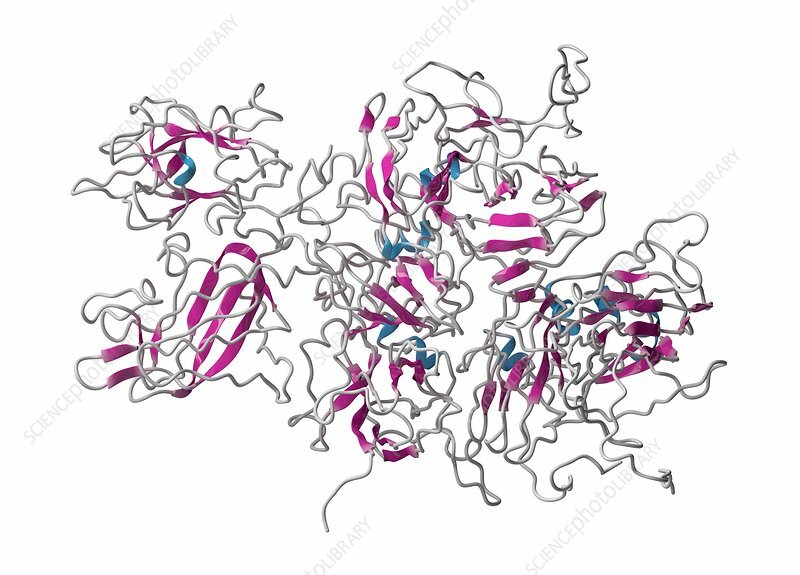 Coagulation factor VIII (fVIII) protein. Deficiency causes haemophilia A. Cartoon model, secondary structure colouring (helices blue, sheets pink).